Bobby Orr, Phil Esposito and the rest of the Bruins were hockey royalty in the early 70s. In the early 70s, the Boston Bruins were the kings of New England and the toasts of the hockey world. Bobby Orr and The Animals. The Big, Bad Bruins. They won the Stanley Cup in 1970 and again in 1972, and reached the finals in 1974 before losing to the Philadelphia Flyers. In all, they played in five Stanley Cup finals between 1970 and 1978. The Bruins are back in the finals again this year, and if they go on to beat the Vancouver Canucks, they will hoist the Stanley Cup for the first time in 39 years. Back in the early 70s, the Bruins held their pre-season training camp in Fitchburg, a former paper, tool works and clothing milltown on the banks of the Nashua River, about an hour or so outside of Boston in Central Massachusetts. Those were the days. Here are four tales of the Fitchburg Bruins from Septembers in the 70s. As the leaves began to turn in September of 1974, a young cub sportswriter arrived on the scene with the Fitchburg Sentinel. It was his first real newspaper job, and one of his first assignments was to cover the Boston Bruins training camp. That year, the Boston Bruins were a force to be reckoned with, picked by many experts to win the Cup as they began training camp for the upcoming 1974-75 NHL season. The nucleus of their Stanley Cup championship squads — featuring all-time defenseman Bobby Orr, scoring machine Phil Esposito and captain Johnny Bucyk — was still intact. 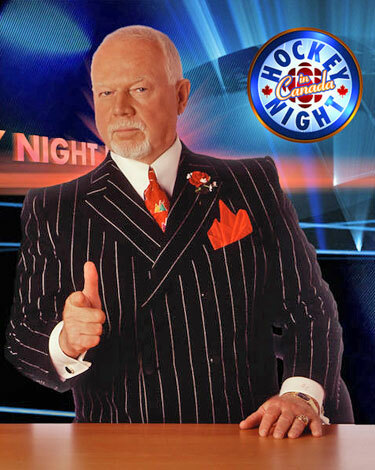 Don Cherry, often called Grapes, was the Bruins new head coach, taking over for Bep Gudolin. Cherry always has an agenda, which carried through in his colorful interview sessions. He was bursting with notable quotables as he talked about his talented Bruins, the Fitchburg night life, and Blue, his bull terrier. Known for flamboyant dress and staunch Canadian patriotism, Cherry guided the Bruins for five seasons, and took them to the Stanley Cup finals in 1977 and 1978, where they twice lost to the Montreal Canadiens. Cherry was fired after a too-many-men-on-the ice penalty late in the game enabled Montreal to tie the score and eventually knock out Boston in the seventh game of the 1979 semifinals. Cherry, coached the Colorado Rockies in 1979-80, then went on to a highly successful career as a hockey commentator with CBC Television. He was recently voted as the seventh greatest Canadian on the Canadian Broadcasting Corporation’s television special, The Greatest Canadian. In goal for the Bruins that camp was young Gilles Gilbert, coming off an outstanding year in his first full season that carried all the way through the playoffs. Gilbert was valiant in defeat when the Bruins lost the sixth and deciding game to the Flyers, 1-0, in the 1974 Stanley Cup finals. Gilles was fun to speak with, but it was difficult to understand his French Canadian accent, even for a guy who took French in high school. And forward Terry O’Reilly was on the fast track to success with the 1974-75 Bruins. When the Sentinel reporter interviewed O’Reilly, he mentioned that his father was a milkman. Sounded familiar to the reporter, who drove a milk truck before working for the newspaper. On September 18, 1975, publishing heiress turned urban guerilla Patty Hearst, victim of a bizarre kidnap by the Symbionese Liberation Party, was found by federal US agents following one of the most extensive manhunts in history. That same afternoon, a columnist from the Fitchburg Sentinel & Leominster Enterprise parked his car in a field on the New England farm of noted philanthropist George R. Wallace, Jr. Phil Esposito, all-star center of the Boston Bruins, pulled up next in a Mercedes. Both were heading for a clambake at the Wallace farm, an event to fete the Bruins, who trained at the George R. Wallace Civic Center. Moments later another Bruins player, all-star defenseman Bobby Orr, emerged from an apple orchard on Wallace’s farm. Orr was limping noticeably. Espo, concerned about this teammate, asked him if he was all right. Orr smiled, but admitted the knee was bothering him. Little did Orr — or Espo, the reporter and the clambakers — suspect it at the time, but Orr’s his brilliant career was just about over at age 27. A few days later, Orr was sidelined and had knee surgery. He would play just 10 games for the Bruins in 1975. Orr would never skate for the Bruins again, playing 26 games for the Chicago Black Hawks between 1976-77 and 1978-79 before retiring, his brilliant career over at age 30. Orr played a full 80 games during his final season in 1974-75, scoring a career-high 46 goals, and won his second Art Ross scoring trophy as he led the NHL in both assists with 89 and points with 135. He was never the same player after 1975, when he won a record eighth straight Norris Trophy as the league’s top defenseman. During his Koufaxian-like career which began with a Calder Trophy as an 18-year-old NHL Rookie of the Year in 1966-67, the Parry Sound, Ontario, native was the best hockey player ever. Orr redefined the position of defenseman and led the Bruins to Stanley Cups in 1970 and 1972. In 1970 he became the only player ever to sweep the league’s top awards — Norris, Ross, Hart Memorial as regular season MVP and Conn Smythe as playoff MP — and scored the Stanley Cup winning goal in overtime, flying through the air to complete a four-game sweep of the St. Louis Blues. The following year Orr recorded a plus/minus of 124, best in NHL history and quite likely the most unbreakable record in hockey. Only one other player, Larry Robinson of Montreal, ever had a plus/minus over 100 in a season. Orr broke the mold of the defensive-minded defenseman, winning two scoring titles and leading the NHL in assists on five separate occasions. He won three consecutive MVPs (1970-71-72) and was also the playoff MVP in 1972, when the Bruins defeated the New York Rangers in six games to win their last Stanley Cup. Two years later, in September of 1977, change was in the air in Fitchburg. The sportswriter had a daughter now. Orr was gone, finishing out his career with the Chicago Blackhawks. And Espo had been traded to the Rangers exactly 50 days after Patty Hearst was captured. In the blockbuster trade, Espo and Carol Vadnais were sent to new York for Brad Park, Jean Ratelle and Joe Zanussi. Gerry Cheevers, the goalie hero the last two Bruins Stanley Cup championships was back. Cheevers would lead the Bruins back to the finals in both 1977 and 1978, where they would twice fall to the Montreal Canadiens. Training camp had a different twist this year. A tall, gangly fellow arrived in camp to play goaltender. George Plimpton was his name, and he was going to mind the nets for the Bruins in an exhibition game. Plimpton was a participatory journalist, best known for Paper Lion, a book about this attempts to quarterback the Detroit Lions in a pre-season game. 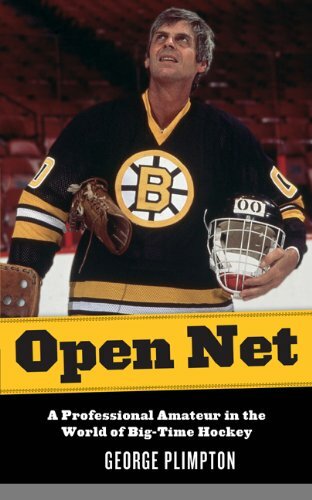 He was preparing to write Open Net, a professional amateur in the world of big-time hockey. Plimpton trained with the Bruins for several weeks, the played reasonably well in a brief stint against the Flyers, even stopping a penalty shot by Reggie Leach. As if they were intent on proving they were playing this game for real — even an exhibition game in which George Plimpton appeared — the Bruins and Flyers brawled several times and amassed 266 penalty minutes between them. Eighteen players were ejected by referee Wally Harris. In the early autumn of 1978, Derek Sanderson was sitting in a dark corner of the Peter Pan bar in Fitchburg. The sportswriter and his buddy could see him. He was dead drunk. The Turk could barely stand, and between trying to pick up waitresses, pick a fight, and do more shots of tequila, Sanderson was out of it. Earlier that day he had been cut by the Bruins, his once promising hockey career finished. Sanderson had been an integral part of the Bruins team that won the Cup in 1970 and 1972. One of the most highly regarded penalty killers and face-off men in hockey, he set up Bobby Orr’s overtime goal in 1970 against the St. Louis Blues that gave the Bruins their first championship in 29 years. After the 1972 season, Sanderson signed a contract with the Philadelphia Blazers of the newly-formed World Hockey Association. His $2.6 million salary surpassed that of Brazilian soccer star, Pelé, making him the highest-paid athlete in the world at the time. Not even the Turk could live up to that billing, and before the end of the season the Blazers bought out Sanderson’s contract for $1 million. Sanderson returned to the Bruins, and was later traded to the Rangers. Hobbled by knee injuries and frequent bouts with alcohol and drug abuse, Sanderson finished his career with the Pittsburgh Penguins in 1978. He tried a comeback with the Bruins that season, flunked out, and wound up drunk in the Peter Pan. This story has a happy ending. The Turk conquered his demons. and became a popular broadcaster with the Bruins. Today, Derek Sanderson is involved with a variety of charitable organizations and makes a number of guest appearances at charitable events to help raise awareness of alcohol and drugs. Bob Dylan…singer, poet, painter, fixture in music for five decades, symbol of social unrest. Yeah that Bob Dylan. Robert Allen Zimmerman. Born May 24, 1941 in Duluth, Minnesota, this iconic figure of American art, is turning 70. Next Tuesday. Baseball is one of the last things that comes to mind when describing Bob Dylan.Yet there are some strong connections between Bob Dylan and the National Pastime. The day Dylan was born, a Saturday, the Yankees hosted the Red Sox at Yankee Stadium. That day, Joe DiMaggio singled to extend his hitting streak to 10 games, on the way to 56. Ted Williams singled twice, walked twice and raised his average to .383, on the way to .406. In nearly 70 years since, neither DiMaggio’s 56-game streak nor Williams .400 season have been seriously threatened. The Yankees won the game, 7-6, on the day Bob Dylan was born. Strangely, there is no record of the time of game and attendance that day. There’s more Dylan-baseball affinity. In 2004 and later in 2009, Dylan did a par of concert tours at minor league baseball stadiums. The 2009 tour, which also featured Willie Nelson and John Mellencamp, included stops at McCoy Stadium in Pawtucket, RI; Ripken Stadium in Aberdeen, Maryland, and the Durham Bulls Athletic Park in Durham, NC. In 2006, Dylan hosted a program on XM Radio dedicated to baseball. He spun a wide selection of baseball tunes, including Buddy Johnson and Hit Hits Orchestra playing “Did You See Jackie Robinson Hit That Ball” and Les Brown’s “Joltin Joe DiMaggio,” an old-time band jewel. In typical Dylan fashion, he told a tale during the virtual seventh-inning stretch of his radio show. He recalled how a Mexican community was destroyed to make the room needed to build Dodger Stadium and then introduced Ry Cooder’s “3rd Base Dodger Stadium” which spoke to the situation. Jonathan Lethem wrote a piece called “The Genius of Bob Dylan” in Rolling Stone on the September 7, 2006, issue around the release of Dylan’s album Modern Times. In a footnote to the piece, Lehtem asked Dylan what baseball team was his favorite. FOOTNOTE: Twice had the opportunity to see Bob Dylan perform in concert. On September 16, 1978, I saw him at the Portland Civic Center, the first time in my life I set foot in the state of Maine (been to all 50 states). Earlier that day, the Yankees beat the Red Sox, 3-2, a ninth inning sacrifice fly by Thurman Munson, giving Catfish Hunter the victory. That win ultimately led to the game that made Bucky Dent famous. Also saw a Dylan performance at the Mid-Hudson Civic Center in Poughkeepsie, New York, about a dozen years ago. As Derek Jeter climbs the all-time hit list, there is only one man that stands between the Yankee captain and the magic 3,000 hit plateau — Sam Rice. With 2,987 hits, Rice has the most of any player not to reach 3,000. He was 44 years old when he played his last game, nearly 77 years ago. Here is the curious tale of Edgar Charles “Sam” Rice, the man who finished 13 hits shy of 3,000. When he retired, Rice ranked seventh the all-time hit list — behind only eventual Hall of Famers Ty Cobb, Tris Speaker, Cap Anson, Honus Wagner, Eddie Collins and Nap Lajoie. 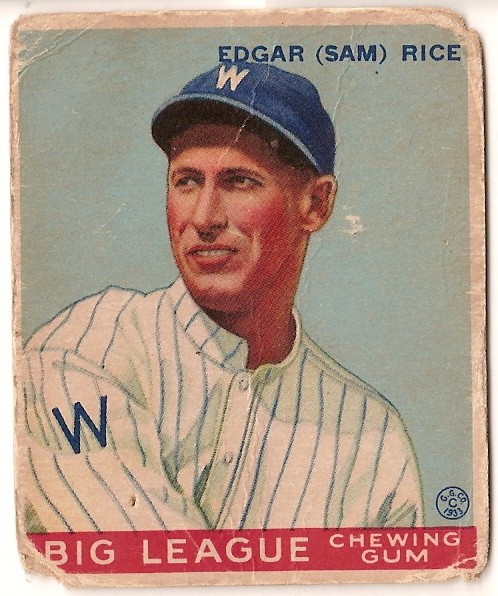 Rice spent nearly his entire career with the Washington Senators, before playing for the Cleveland Indians in 1934, his final year. That year he hit .293 and amassed 98 hits in 97 games. Years later, Rice said, “The truth of the matter is I did not even know how many hits I had. 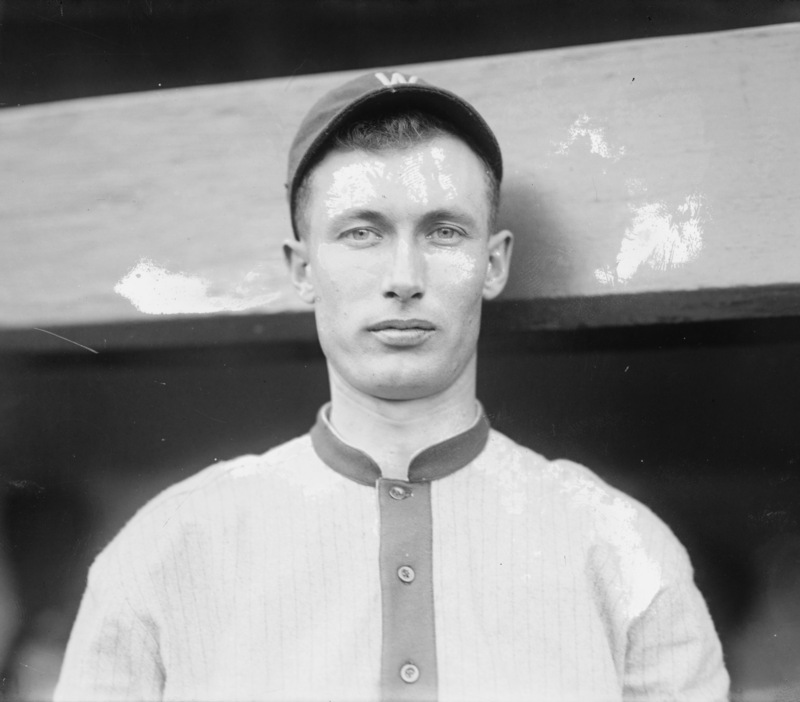 A couple of years after I quit, [Senators owner] Clark Griffith told me about it, and asked me if I’d care to have a comeback with the Senators and pick up those 13 hits. But I was out of shape, and didn’t want to go through all that would have been necessary to make the effort. Rice started his career as a relief pitcher, but moved to the outfield and made his debut at age 28 with Washington in 1915. He played 19 seasons for the Senators, and helped lead them to a World Championship in 1924 and American League pennants in 1925 and 1933. Rice was regularly among the American League leaders in runs scored, hits, stolen bases and batting average. A left-hand hitter, he rarely stuck out, once completing a 616-at-bat season with nine strikeouts. A contact man, Rice was not a home run threat (he hit just 34 in his career). But he had a .322 career batting average and stole 351 bases, including a AL best 63 in 1920. He was elected to the Baseball Hall of Fame in 1963, and lived to attend his induction at Cooperstown. A tragedy early in Rice’s career had an enormous impact on him, and surely slowed his rise to the majors. In 1912, as he played with a minor-league baseball team in Galesburg, Illinois, Rice’s wife, two children, mother, father, siblings, and a farmhand were all killed in a tornado that swept through Morocco, Indiana, on the Indiana-Illinois border. Soon after, Rice joined the US Navy. He was a seaman aboard the USS New Hampshire when the ship saw combat at Vera Cruz, Mexico on April 15, 1914. A year later, he was in the big leagues with the Senators. The most storied moment in Rice’s career occurred in Game Three of the 1925 World Series. With the Senators leading 4-3 in the bottom of the eighth, the Pirates Earl Smith hit a long drive to right-center at Pittsburgh’s old Forbes Field. Rice ran down the ball and appeared to catch it at the fence, potentially robbing Smith of a home run that would have tied the game. After the catch, Rice toppled over the top of the fence and into the stands, disappearing out of sight. When Rice reappeared, he had the ball in his glove and the umpire called the batter out. For many years, people questioned whether Rice actually caught the ball and whether he kept possession of the ball the entire time. Rice himself would not tell, only answering: “The umpire called him out,” when asked. The Senators won the game, but the Pirates went on to win the World Series in seven game. 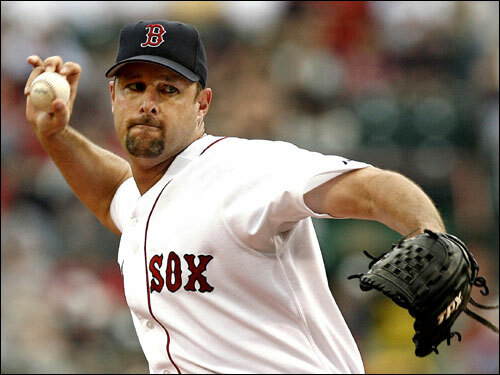 Boston Red Sox pitcher Tim Wakefield, the oldest man in major league baseball, is one of only five active players born in the 60s. Baby Boomers are always being reminded how old they are. Born in the 50s. Growing up in the 60s. Well, here’s another reminder. Only five active major league players were born in the 60s. Of the five, only two were born in the United States and one each in Canada, Panama and Venezuela. Three were born when LBJ was president, the younger two in the early years of the Nixon Administration. Two were born in the months following Woodstock in late 1969. Boston’s ageless knuckleballer, Tim Wakefield, is the oldest player in the majors. Wakefield, 44, was born August 2, 1966, in Melbourne, Florida. He has 193 career wins, 173 with the Red Sox. He trails only Cy Young and Roger Clemens (tied at 192) on the all-time Red Sox win list. Shortstop Omar Vizquel, born April 24, 1967, has 2,808 hits, 401 stolen bases, and a .273 lifetime batting average. An 11-time Gold Glove winner, Vizquel is a native of Caracas, Venezuela. Matt Stairs was born February 27, 1968, in St. John, New Brunswick. He has 265 home runs, more than any other active player born in the 60s. Journeyman lefty reliever Arthur Rhodes, who has toiled for nine teams (including the Mariners twice) in a 20-year career, was born October 24, 1969, in Waco Texas. And the great Mariano Rivera, born November 29, 1969, in Panama City, Panama, is the youngest active player on the short list. Rivera has 571 saves in his career, just 30 behind all-time saves leader Trevor Hoffman. There are at least 10 reasons to hate the Miami Heat – but this isn’t one of them. My entire life, I’ve rooted against the Boston Celtics. I was the guy pulling for Jerry West, Wilt Chamberlain and all the others who fell to the relentless Green Machine. Larry Bird was a legend, but Magic Johnson was my guy. And don’t remind me of the countless times the Celtics have embarrassed the Knicks, including this year. But I’m changing my stripes for the NBA playoffs. For those who know me, rooting for Boston is way off base, totally out of character. 1. LeBron James, who teased New York fans before taking his “talents” to South Beach. 2. Pat Riley, who infamously FAXed in his resignation to the Knicks and fled to Miami. 3. The winters, which are warmer in Miami. 4. Beat the Heat and Hate the Heat roll off the tongue. And fittingly, Heat and hate are anagrams. 5. LeBron wasn’t very nice to Cleveland either. 6. Dwayne Wade, who not only kills the Knickerbockers, he killed my alma mater, Holy Cross, in the NCAAs when he played at Marquette. 7. The arrogant Heat players and management, who felt they could “arrange” a championship. 8. That tasteless show the Heat put on last summer when they introduced LeBron and Chris Bosh to South Florida. 9. New York basketball fans are smarter.